Brett Kavanaugh's freshman-year roommate at Yale, James Roche, said in a statement Monday that, despite not observing the incident described by Debbie Ramirez, who accused Kavanaugh of sexual misconduct while at college, he does remember that "Brett was a notably heavy drinker" and that he "became aggressive and belligerent when he was very drunk." Key quote: "Based on my time with Debbie, I believe her to be unsually honest and straightforward and I cannot imagine her making this up. Based on my time with Brett, I believe that he and his social circle were capable of the actions that Debbie described." Why it matters: Kavanaugh has repeatedly denied both Ramirez's and Christine Blasey Ford's allegations of sexual misconduct. In a Fox News interview on Monday, he also defended his character and behavior in both high school and at Yale, stating that he was focused on academics, athletics and church. "I was Brett Kavnanaugh's roommate at Yale University in the Fall of 1983. We shared a two-bedroom unit in the basement of Lawrence Hall on the Old Campus. Despite our living conditions, Brett and I did not socialize beyond the first few days of freshman year. We talked at night as freshman roommates do and I would see him as he returned from nights out with his friends. 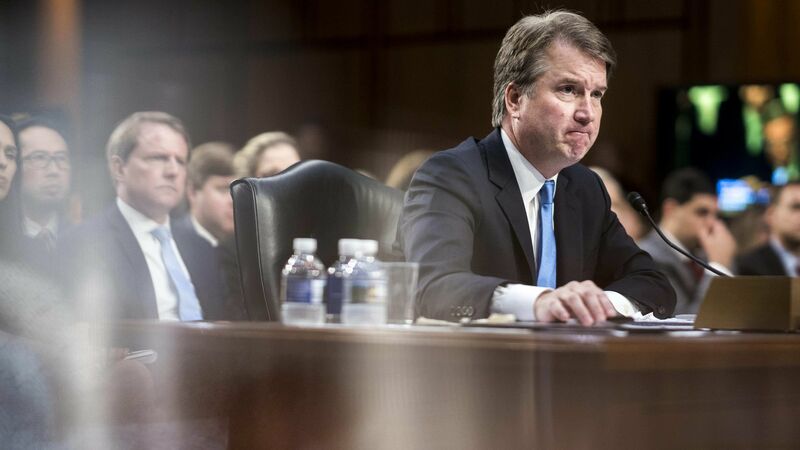 "It is from this experience that I concluded that although Brett was normally reserved, he was a notably heavy drinker, even by the standards of the time, and that he became aggressive and belligerent when he was very drunk. I did not observe the specific incident in question, but I do remember Brett frequently drinking excessively and becoming incoherently drunk. "I became close friends with Debbie Ramirez shortly after we both arrived at Yale. She stood out as being exceptionally honest, with a trusting manner. As we got to know one another, I discovered that Debbie was very worried about fitting in. She felt that everyone at Yale was very rich, very smart and very sophisticated and that as a Puerto Rican woman from a less privileged background she was an outsider. Her response was to try hard to make friends and get along. "Based on my time with Debbie, I believe her to be unusually honest and straightforward and I cannot imagine her making this up. Based on my time with Brett, I believe that he and his social circle were capable of the actions that Debbie described. "I do not consider myself to be a political person and I have no political agenda. I have shared this information with a small number of reporters who reached out to me directly because Debbie has a right to be heard and I believe her. "I have been asked for more details and additional stories, but this is all that I am comfortable sharing. If I could contribute more first-hand information, I would, but I will not be granting any more interview or answering any more questions at this time." Go deeper: Roche also spoke to the New Yorker, which first reported Ramirez's allegations.